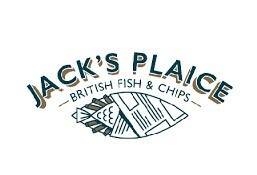 Jack's Plaice is currently closed for delivery and it will open at 12:00 AM tomorrow . British beef burger with chips and slaw. Grilled chicken burger with chips and slaw. North sea cod burger with chips and slaw. North sea cod with chips & mushy peas. Served with hand cut maris piper chips. With toffee sauce and custard.